If you follow me on Instagram, this might already sound like old news, but since I was up in Liverpool last weekend for the British Transplant Games, I took the opportunity to add a little sewing time into my athletics competition weekend (of course!!)! I opted to stay in the University of Liverpool residence halls for the weekend (mostly since it was cheaper than a hotel, guaranteed me decent wifi and an en suite as well as official Game transportation! ), so I decided to bring along my JL Mini travel-sized sewing machine for a bit of relaxation on Friday and Saturday. 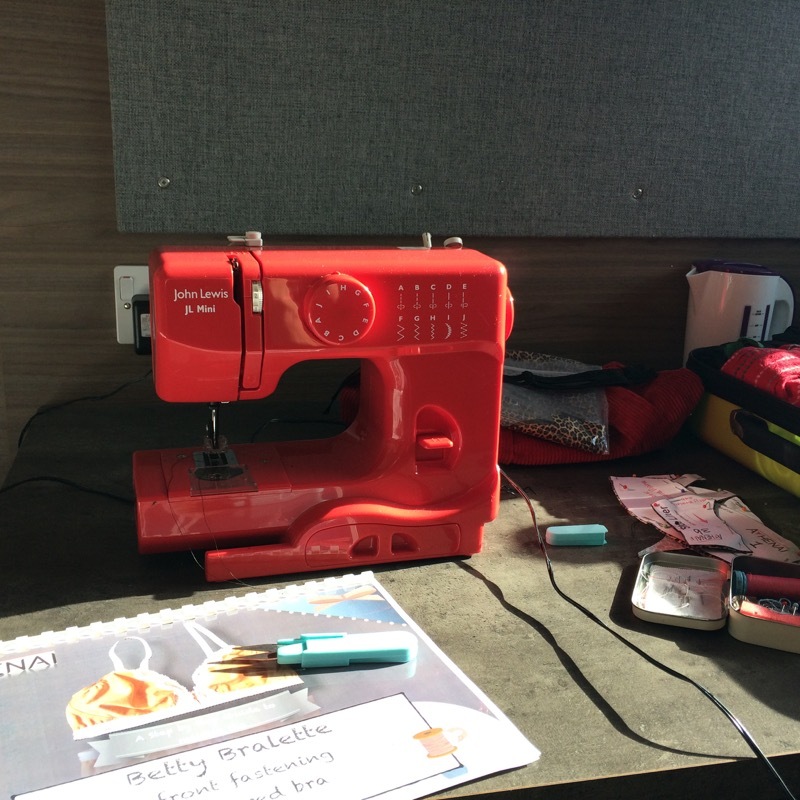 I still tend to get a bit of pre-race nerves for these shorter competitions, and I knew that a bit of sewing would help me to focus on something other than the races. 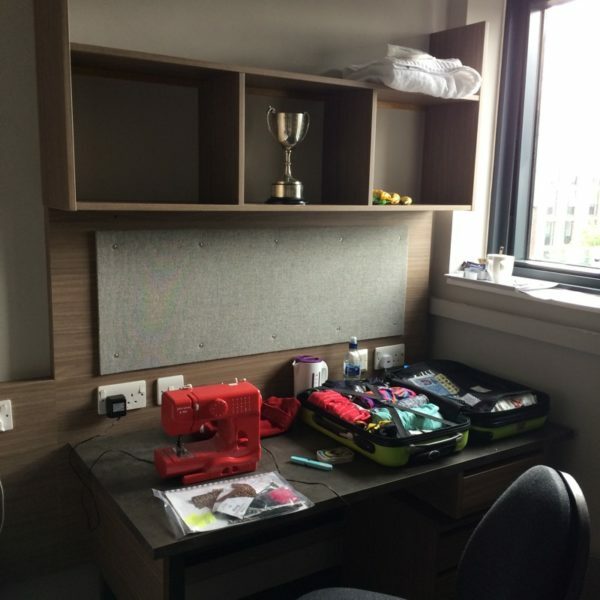 If you follow me on Instagram, this might already sound like old news, but since I was up in Liverpool last weekend for the British Transplant Games, I took the opportunity to add a little sewing time into my athletics competition weekend (of course!!)! I opted to stay in the University of Liverpool residence halls for the weekend (mostly since it was cheaper than a hotel, guaranteed me decent wifi and an en suite as well as official Game transportation! ), so I decided to bring along my JL Mini travel-sized sewing machine for a bit of relaxation on Friday and Saturday. I still tend to get a bit of pre-race nerves for these shorter competitions, and I knew that a bit of sewing would help me to focus on something other than the races. The trophy is a travelling one for the fastest female Mini Marathon winner, which I got to retain again this year and bring home. 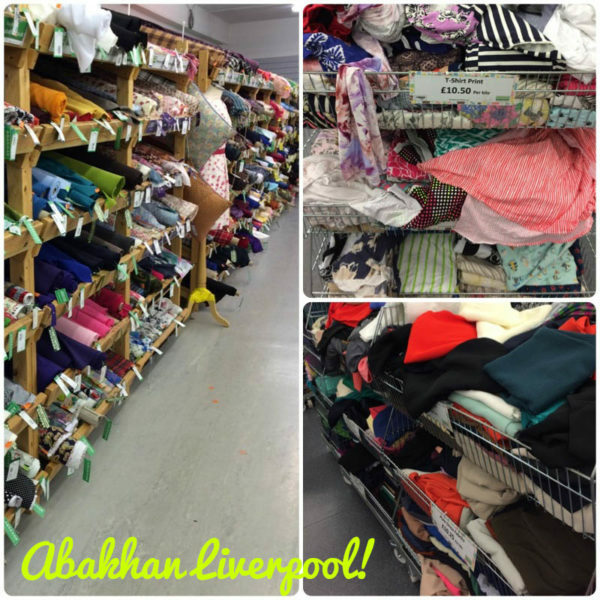 … to Abakhan Liverpool! Being a southerner, I’d heard rumours of the delights of this Northern fabric store chain, but I’d never visited one until now! I stayed restrained upstairs, only buying some herringbone wool suiting (so soft!) 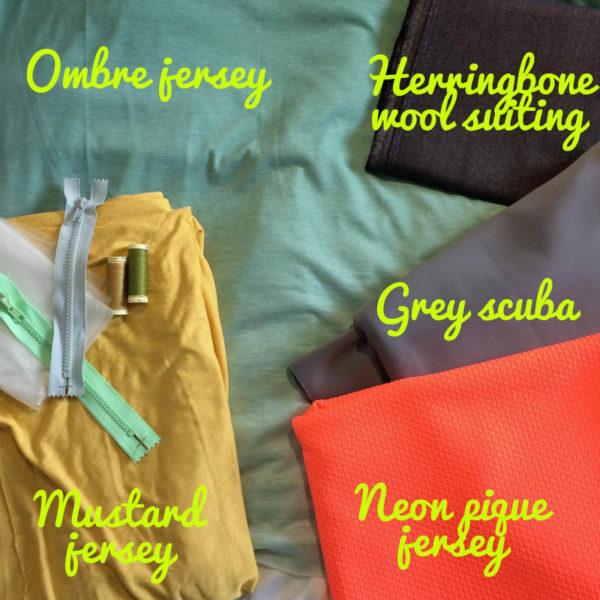 and some scuba to make a specific dress from the new DIY Couture book “No Patterns Needed”, but then I went downstairs and saw the jerseys per kilogram. I may have been overstimulated. Someone hand me a cup of tea. The aforementioned herringbone wool, grey scuba, and neon orange poly from upstsairs, plus an ombré jersey (destined to become a teeshirt) and some super soft mustard jersey downstairs. And since they’ve got a decent haberdashery section upstairs, I grabbed some Gutermann threads that were on my list, some nice chunky zips in unusual colours, and some washaway stabiliser for a particularly flimsy burnout jersey that was giving my coverstitch troubles. But most impressive was my ability to cram all of my purchases, plus my trophy, three sets of sneakers and two sets of competition gear and a team tracksuit all into my carry-on sized suitcase. I think I deserve a medal for that! I’ll have a review of the full weekend’s competition up on my RiverRunner.co.uk site soon Edit: it’s up now!, but the short version is 4 golds and 2 silvers! And big apologies to anyone who had trouble accessing this site or sending me emails over the past few days – the hosting issues should be resolved now, and I should have all the emails sent over the interim, even if you got a bounce notice. Separator image Posted in Inspiration and tagged with machine, shopping. Congratulations! 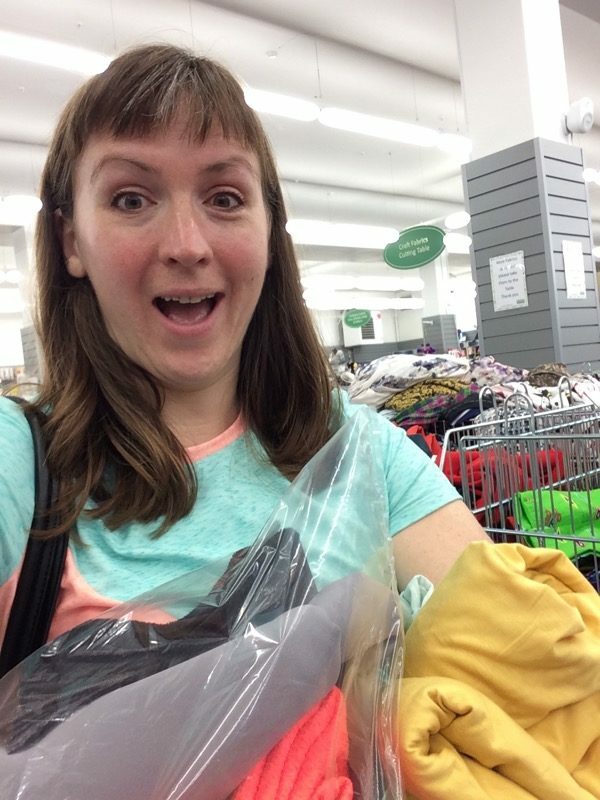 Great haul – of medals and fabrics. I can’t believe you fit all of that in your bag! But honestly, what an athlete you are! I’m am nothing if not organised! 😉 I got pulled aside for extra bag security checks when we flew recently and the security worker actually said mine was the most organised bag she’d ever seen, pfffff! I just assumed everyone packed that way. The Amazon image on the top right of the “No Patterns Needed” page looks a lot like your sewing machine!